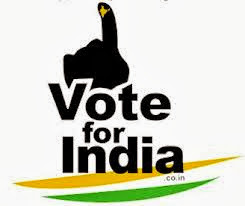 Election commission of India is providing the facility to download the Voter List online. You can also check your name in final Voter List. Currently this service is available for Delhi State only but We hope that soon election commission of India will expand this service across the India. 1. Visit the Delhi Election Commission Website. 2. Click on "Final Electoral Roll PDF" link available in Quick Links section. 3. Now click on the language link available in front of "Electoral Roll PDF". Currently, Election Commission is providing the voter list in three languages - English, Hindi and Urdu. Click on the choice of your language. 4. Click on your Assembly Constituency. There are 70 Assembly Constituency in Delhi and separate link are provided for each Constituency. 5. Now click on the "AC Name" column available in-front of your locality to download the Voter List. You can also search your name in this voter list by pressing "Ctrl + F" and entering your name.